Mortar wants a superstar media relations generalist to join our team. 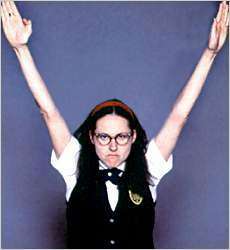 Someone with the enthusiasm of Mary Katherine Gallagher, but preferably without the proclivity for armpit-sniffing. We’ve got heaps of stories and upcoming launches that we need support on. Our clients are fun, diverse, and cover multiple markets. You, we hope, have at least 4-6 years experience pitching the heck out of stories, with a spectacular track record of securing and earning media coverage. You love to work with the media and make stories happen. To start, this will be contract work. It could turn into longer term, but we’ll only need you 10-20 hours a week needed to start. If this is you, email allyson@mortaragency.com with your resume, rate, and availability.